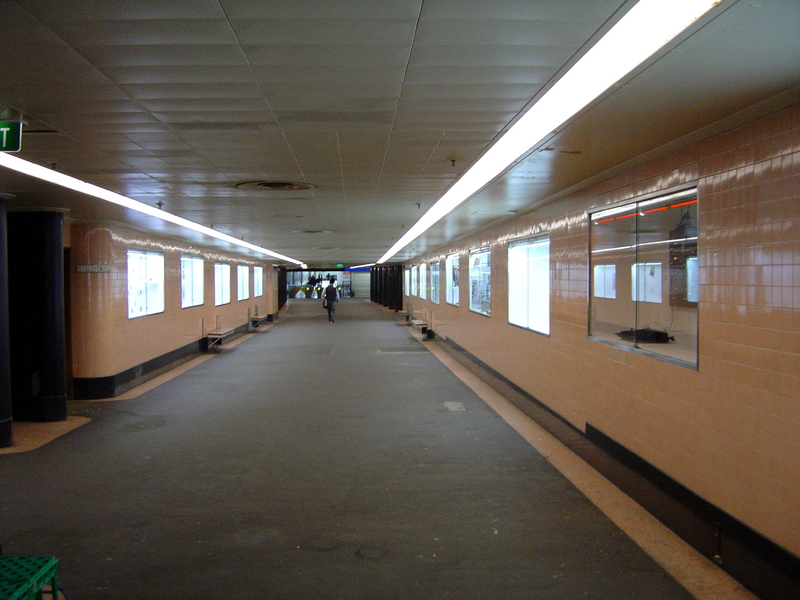 Has it only been half a year since Platform closed and the dozen glass vitrines in the tile lined underpass at Flinders Street Station were left empty? The artist-run initiative Platform ran the space for twenty years and I regularly wrote about their exhibitions. Now Melbourne City Council’s Creative Spaces program have taken over management of the dozen vitrines in Campbell Arcade. They have rebranded them The Dirty Dozen because, as Creative Spaces’ Eleni Arbus puts it, ”It’s a pretty grungy site”. The Dirty Dozen brings a new direction for the vitrines, filling them with the work of what Eleni Arbus calls “creative practitioners” rather than artists. Hopefully this will make the exhibitions more engaging for the commuters who use the underpass. The work of many contemporary artists failed to produce site specific art and failed to speak to the thousands of people who continued walking past. The first exhibition at The Dirty Dozen, Prevaricated Frequencies by Skunk Control, a team of engineers and scientists from Victoria University demonstrates what Arbus means by “creative practitioners”. 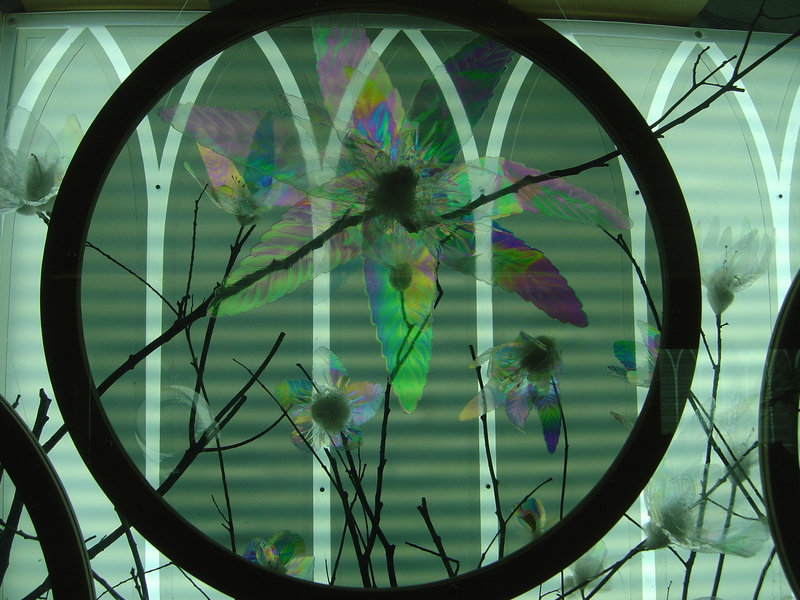 The vitrines were full of a forest of animatronic blooming flowers and caves of crystals, both with prismatic light effects from rotating polarised screens. 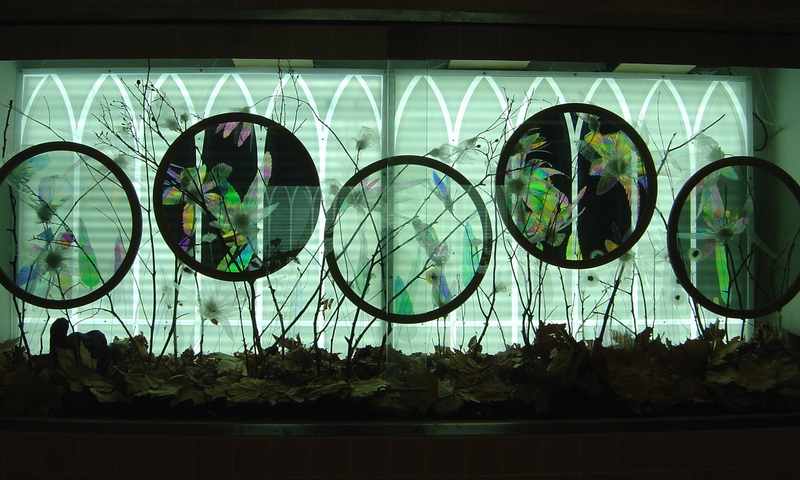 Another vitrine contains a motorised kaleidoscope and another, rotating tanks of liquid. The attention to detail to create these complete other worldly visions is impressive. Parts of this exhibition is similar to what was seen in Rose Chong’s display window last year when Skunk Control won the People’s Choice award at the annual Gertrude Street Projection Festival for Pestilent Protrusions. That People’s Choice award is an indication of engaging beauty that Skunk Control produce. The elegant engineering and science are used to present engaging and intriguing work rather than lecturing the audience. Skunk Control was formed in 2012 by Nick Athanasiou a lecture at Victoria University in the College of Engineering and Science. There are a surprising number of engineers in Melbourne creating exciting art, including the street artist CDH. I wish that more artists today, instead of doing their Masters or Doctorates in Fine Arts, studied something else, something apparently unrelated to their art, because this would improve both the content and the art. I am looking forward to seeing what other “creative practitioners” will next be exhibiting at The Dirty Dozen.